Republicans eyed a recount and a lawsuit over perceived irregularities in a closely watched U.S. House race in Pennsylvania where Democrat Conor Lamb clung to a slender lead in the longtime GOP stronghold friendly to President Donald Trump. Democrat Conor Lamb declared victory after the very close Pennsylvania special Congressional election. AP has not called the vote. But AP Politics Writer Bill Barrow says the Democrat's strong showing is bad news for Republicans. Lamb has declared victory. Saccone, a 60-year-old Air Force veteran turned state lawmaker and college instructor, hasn't conceded. Both men stayed out of sight Wednesday, and Saccone's campaign said that Saccone had no plans to concede before vote counting was finished. Absentee ballots are open to inspection to determine whether the person is eligible to vote or whether the voter's intent was clear, and that is more likely where a review might alter a final count, said Douglas Hill, executive director of the County Commissioners Association of Pennsylvania. But a difference is "never large numbers, it's always around the margins," Hill said. Regardless of the outcome, Lamb's showing seemed certain to stoke anxiety among Republicans nationwide and renew enthusiasm among Democrats. Trump and his allies, meanwhile, invested tremendous time and resources in the seat, mindful the contest could be used to measure Trump's lasting appeal among white, working-class voters and Democrats' anti-Trump fervor. Saccone had cast himself as the president's "wingman." But where Murphy had long allied himself with unions, Saccone's conservative voting record alienated them. A White House spokesman on Wednesday warned against reading too much into the razor-thin outcome, saying Trump's campaigning for Saccone "turned what was a deficit for the Republican candidate to what is essentially a tie." Lamb's victory is somewhat symbolic. Under a state court order in a gerrymandering case, the seat is one of Pennsylvania's 18 U.S. House districts whose boundaries will change next year, and the new ones will be in play in this year's mid-term elections. 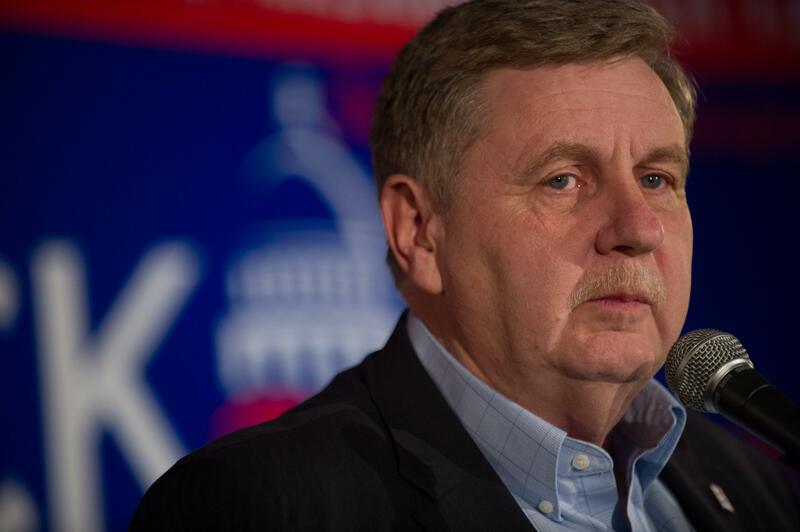 Even before Tuesday night's vote, Saccone was making plans to seek the nomination in a different district in May's primary, a new southwestern Pennsylvania district that leans solidly Republican without the Pittsburgh suburbs that helped Lamb. Neither Saccone nor Lamb lives in that district, but Saccone is planning to run there since, under the new boundaries, Saccone's home is in a Pittsburgh-based district that is heavily Democratic and home to longtime Democratic Rep. Mike Doyle. Lamb is expected to run in a new district west of Pittsburgh against Republican Rep. Keith Rothfus. That district is far less friendly to Republicans than Rothfus' existing district and is described by Republicans as a toss-up.